The Vietnam Academy of Agricultural Sciences (VAAS) organized a field day on integrated pest management (IPM) under WorldVeg’s Attraction in Action project, funded by BMZ/GIZ. 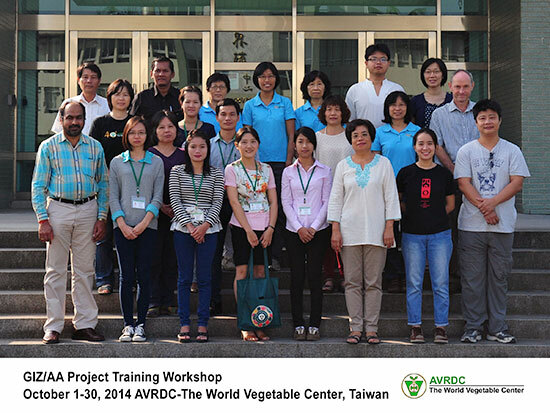 AVRDC - The World Vegetable Center recently received funding from the Ministry of Agriculture, Forestry and Fisheries (MAFF), Japan for a three-year project, "Selection of tropically-adapted lines of vegetables to improve productivity of the vegetable value chain in Southeast Asia." Vietnam and Myanmar are the target countries. Project collaborators include the Fruit and Vegetable Research Institute (FAVRI), Hanoi, and the Vegetable and Fruit Research and Development Center (VFRDC): Ministry of Agriculture and Irrigation, Department of Agriculture (MOAI-DOA), Myanmar. 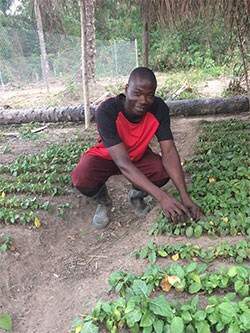 This project focuses on chili pepper, pumpkin, bitter gourd and tomato, which were selected because of their commercial importance in Southeast Asia and the success of AVRDC’s tropically adapted inbred lines. Knowledge is the first step in reducing pesticide use. 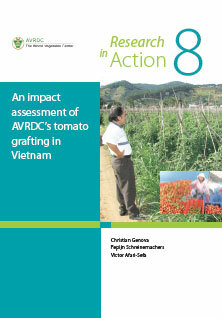 To promote safe crop protection strategies, AVRDC is studying the constraints farmers face in Vietnam.